Maryland's incoming Republican governor, Larry Hogan, says he wants to boost the state's economy by building roads instead of transit and focusing on the state's rural areas over urban ones. But starving urban areas of their needs will only bring the entire state down. 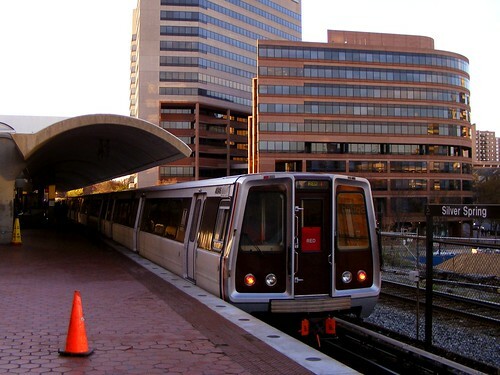 Ever since his election last month, Hogan has been noncommittal about the state's two biggest transit projects, the Purple Line in Montgomery and Prince George's counties, and the Red Line in Baltimore. Maryland's transportation priorities are "out of whack," he told Post columnist Robert McCartney, adding, "Less than 10 percent of the people use mass transit. Most people in the state want the roads to be fixed." That's an appeal to rural voters who elected Hogan based on a claim from him and his supporters that there's a "war on rural Maryland." But with the majority of Maryland's population and jobs, urban areas drive the state's economy, and public money spent there goes a lot farther than it does elsewhere. The "war on rural Maryland"
Hogan's comments reflect the conflicting views rural Marylanders have of the state's urban and suburban areas, especially Montgomery, Prince George's, and Baltimore City, the three jurisdictions that voted for his opponent, Democrat Anthony Brown. On the one hand, rural counties depend on them. They go shopping at malls in Montgomery, send their kids to college at big state schools like College Park, or attend athletic events in Baltimore. And it shows. Montgomery County alone had one out of every five jobs in Maryland in 2011, according to the Census Bureau. Add Prince George's and Baltimore City and you have 45% of the state's jobs. Add Anne Arundel, Baltimore, and Howard counties, which voted for Hogan but are also urbanizing, and together they hold three-fourths of the state's jobs. These areas are also leading the state's job growth. Of the 213,000 jobs added in Maryland between 2002 and 2011, 60% went to one of those six jurisdictions, and 28% went to Montgomery County. Montgomery County sends more in tax revenue to the state than it gets back because it's distributed to rural counties. Yet rural lawmakers claim they're under attack from urban and suburban counties, with their liberal politics and diverse populations. Five counties in Western Maryland even tried to secede last year. Meanwhile, Carroll County won't allow its transit service to leave the county to keep out "criminals" from Montgomery. Larry Hogan is right about Maryland's transit use: statewide, just 8.8% of commuters use public transit, according to the 2012 American Community Survey. But that's because the state has built so many roads and so little rail transit. Just as you can't judge the demand for a bridge based on how many people are swimming across the river, you can't say we don't need transit because few people are using it. Besides, 80% of Maryland's transit riders live in just three jurisdictions: Baltimore City and Montgomery and Prince George's counties, where most of the state's transit is. They're also three of the state's biggest job centers. There's a strong link between investing in transit and economic development. A study of over 300 metropolitan areas in the US found that expanding transit resulted in more employment and higher wages. It saves businesses and households money due to lower transportation costs, time savings, and increased access to jobs and employees. Overall, transit generates about $4 in economic returns for every $1 invested. Meanwhile, low-density development, like the strip malls and subdivisions Larry Hogan's development firm builds, requires lots of new roads and utility lines that serve a relatively small number of people. The taxes it generates can't even cover the cost of building the infrastructure, let alone maintaining it. A Florida study found that even small buildings in urban neighborhoods can generate 10 times as much tax revenue per acre as a typical Walmart. More importantly, there's a demonstrated demand for transit and urban places. That's why most office space in the DC area is going in next to Metro stations and rents are at a premium. It's why areas around Montgomery County's Metro stations are growing faster than the rest of the county. And it's why Virginia Republicans fought to build the Silver Line through Tysons Corner, which is attracting a ton of private investment. Improving Maryland's economic competitiveness is something everyone can agree on, regardless of political party or location. But if Larry Hogan says we need to spend public money more wisely, shouldn't our limited resources go to the places where we can get the most in return? Over breakfast last week, Montgomery County Executive Ike Leggett reminded Hogan that the county was the state's economic engine and that he should respect their priorities, including transit. That's a message rural Maryland should hear. As long as it depends on urban and suburban counties for its economy, the only "war on rural Maryland" is when Republican lawmakers shoot the entire statewide economy in the foot by starving metropolitan areas. What about replacing roads with public transit options? I wonder if the Purple Line would be less invasive and less costly if it were built on existing roads to replace cars on the road, rather than simply engorging the existing infrastructure? This was discarded as an option early in the debate for reasons I am not clear on. Could you clear this up for me?